This looked too good not to share! Here’s the back story about this cheesecake. 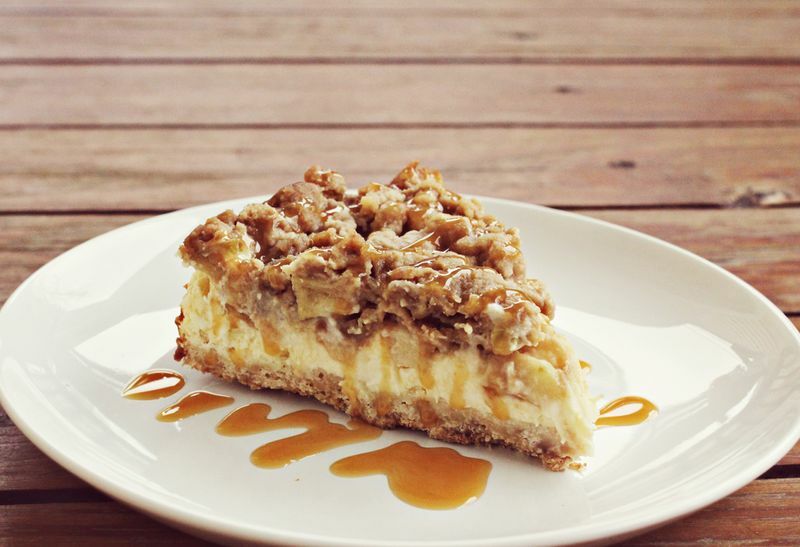 Elsie has been raving about this caramel apple cheesecake that her sister-in-law Katrina made a couple years ago. I’ve heard about dessert multiple times. So when I asked Elsie what she thought I should make for Friendsgiving dessert she, on que, brought up this cheesecake again. I emailed Katrina asking for what I was sure was an old family recipe, and she sent me this link. Paula Deen has done it again. 🙂 I adapted it to fit a standard size spring form pan and served it up. Lots of guests enjoyed it, but it’s always so hard to eat dessert after a big meal. It’s hard to leave room. So I sent a few folks home with extra slices. A few days later a certain (nameless, to protect identities) guest mentioned that her husband may have eaten all three slices I sent home that very night.